Ah, waking up in a nice big bed with a room to myself. Today was my last full day in Beijing and I only had a couple of things planned so I really didn’t mind sleeping in today. Today was actually the first day of my trip where I was on my own. For anyone out there who’s scared about traveling on your own in a foreign land – don’t be! It’s amazing how easy it is to connect with people and go exploring together when you’re traveling. I dropped off my laundry (38yuan, $8) and I was out the door around 1pm. I did, however, bundle up one extra layer today as I wasn’t gonna let the cold and the wind take me down. So today I was wearing a t-shirt, sweat top, hoodie and a winter jacket. Oh, and two pairs of socks. And, of course my requisite beenie, scarf and gloves. Yes, I was wearing pants too… geez! 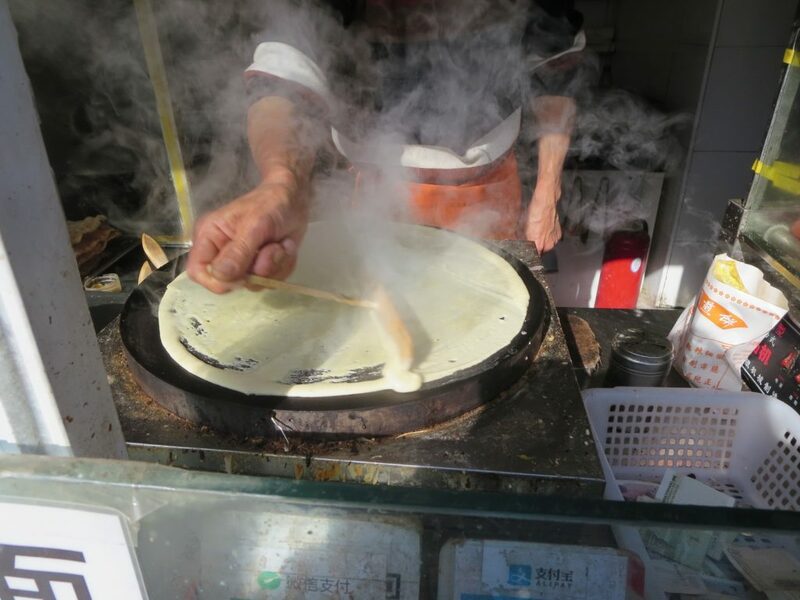 If you’ve been keeping up with the blog then you know I’ve kind of had a love for Jianbing. It’s a big pancake made in front of you on a crepe pan topped with a couple of eggs, cilantro and onion, bean curd paste, spicy sauce (if you want), and a crunchy cracker all folded up. I’ve only been able to find a couple of street stalls that make it and thank God I just happened upon a stall on my first night here. Around my hostel way across the other side of town I haven’t been able to find a place that makes Jianbing so there was only one thing to do for my craving today. 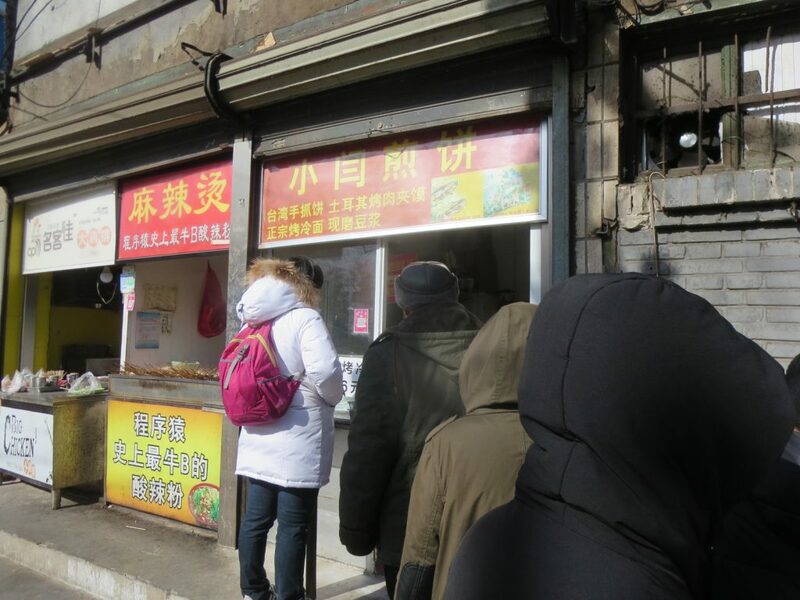 Yup, a little 45 minute side trip on the subway to the stall near my old hostel. Okay, so after getting some good food into my belly, I was off to my actual destination this afternoon. 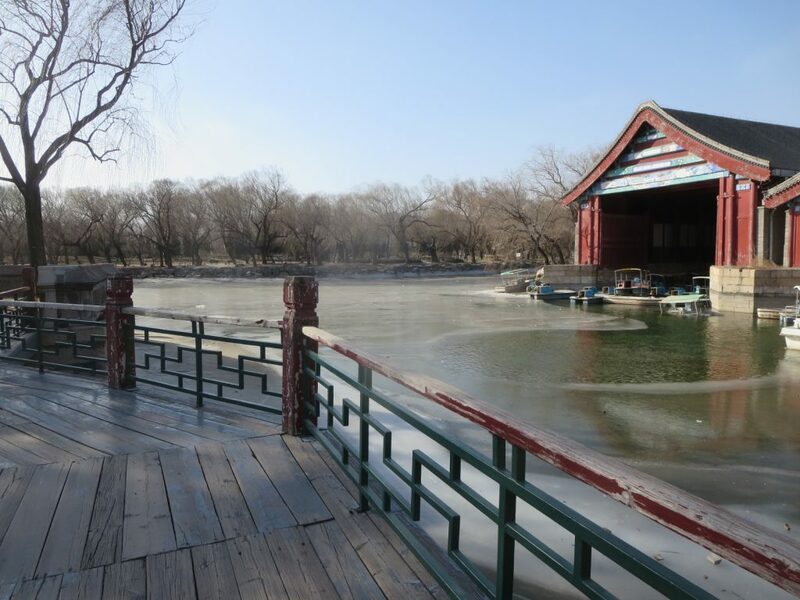 The Summer Palace is way across the city in the opposite direction as my detour, so after another 45 minute subway ride I finally arrived there around 3pm. I’ve noticed that outside of markings inside subway stations, there is literally no signage outside (at least in English) pointing you in the right direction of the entrances to notable tourist attractions. I’m constantly walking around the outside of places looking for entrances inside. 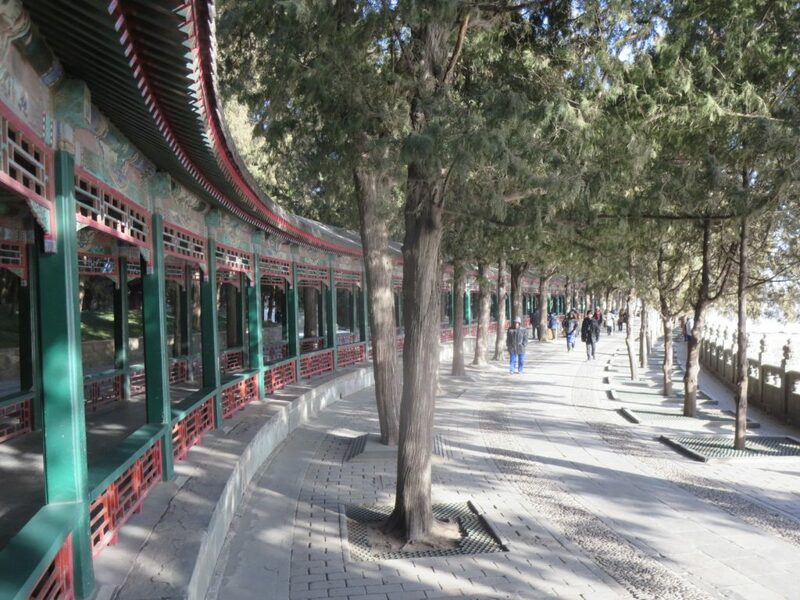 I did eventually find my way inside the Summer Palace and quickly noticed that this was the most “touristy” area I’ve visited with multiple souvenir shops littered throughout the park. 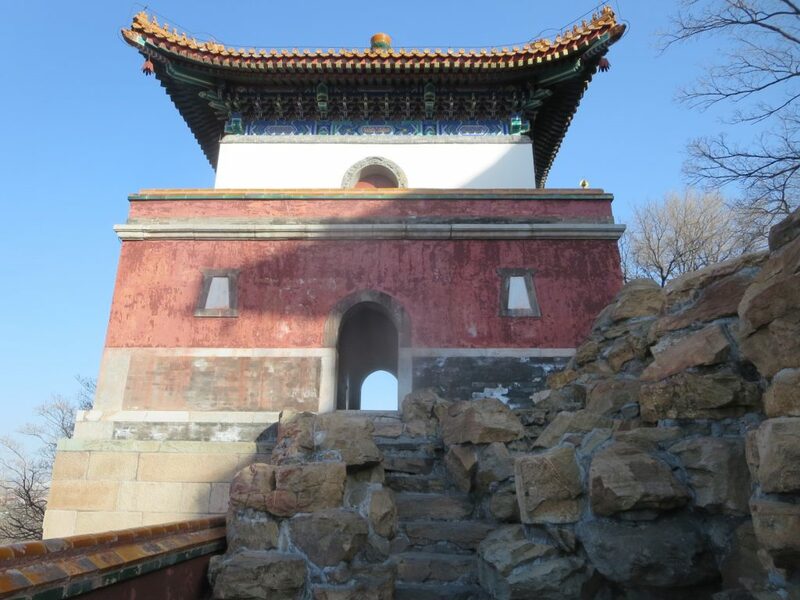 The Summer Palace was built in 1750, burned down by the Anglo-French in 1860, and then rebuilt in 1888. 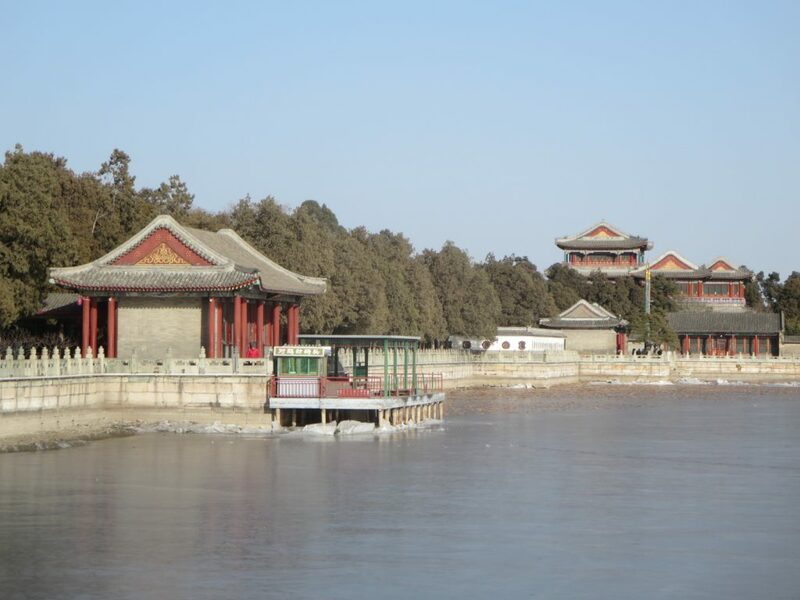 Its’ area is 75% covered in water making up Kunming Lake so the biggest highlight is just walking along the lake. 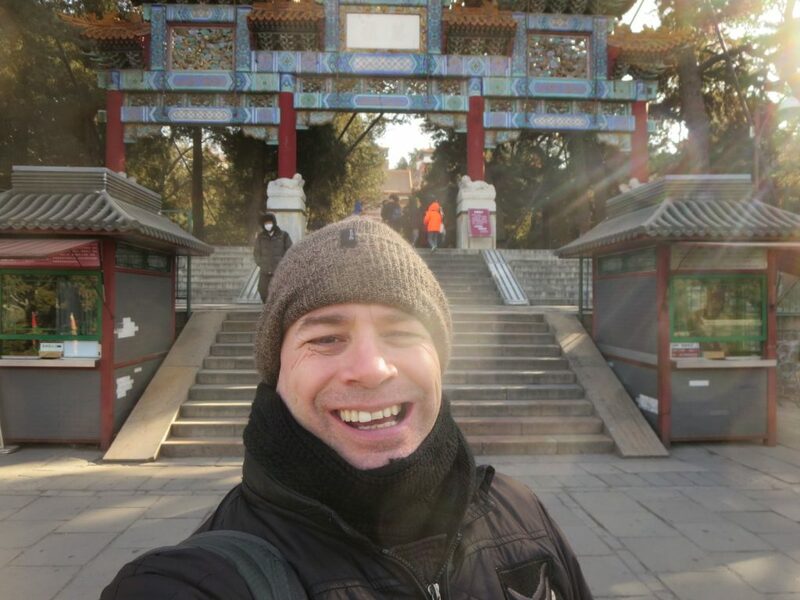 As I arrived back at my hostel at just after 5pm, it became apparent to me that I had spent a whopping 2 hours on the Beijing subway system today. The system is really intricate with over a dozen lines but it still always seems to take you 30 to 45 minutes to get to any tourist attraction. 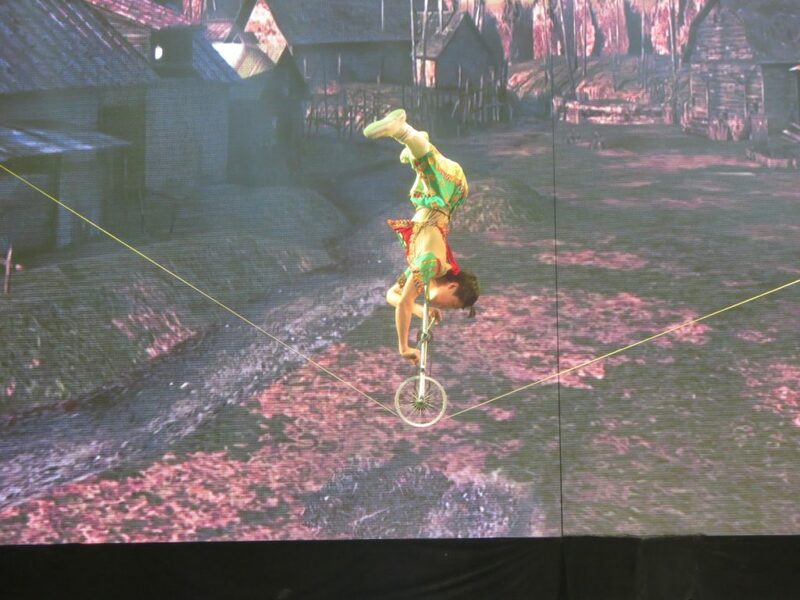 After warming up and relaxing for a bit I was back out into the city to see the Chaoyang Acrobat Show. The show is world famous and has been running for some 20 years. They do 3 shows a day and I chose to go to the latest one at 7pm. The theater itself probably holds at least 500 people but there were only about 50 of us inside for this show. I haven’t quite figured out the seat pricing as rows 1-4 and 15-23 were the cheapest seats while the rows in between were the most expensive. Naturally I bought a cheap ticket for 220yuan ($44) and ended up in row 4 which actually ended up being the front row as no one was sitting in the rows in front of us. Anyway, if you go to the show (and you should), buy the tickets online up to 3 hours before showtime as they are discounted (220 instead of 280). You just fill in the form, pay via paypal and show a booking confirmation code to the ticket window at the theater when you arrive. I’ve been fortunate to see quite a few things on my travels the last few years but, damn, this was stunning. You know how people use hyperbole like “jaw dropping” and “edge of your seat”? Well, I was literally sitting there most of the show on the edge of my seat with my mouth wide open. Easily the best show I’ve ever seen! The show lasted just an hour but they packed so much into it that it seemed much longer. In total there were 10 acts and each time you’d see an act you’d be like “well, that was amazing! There’s no way they can top that!” and then, they would top it. 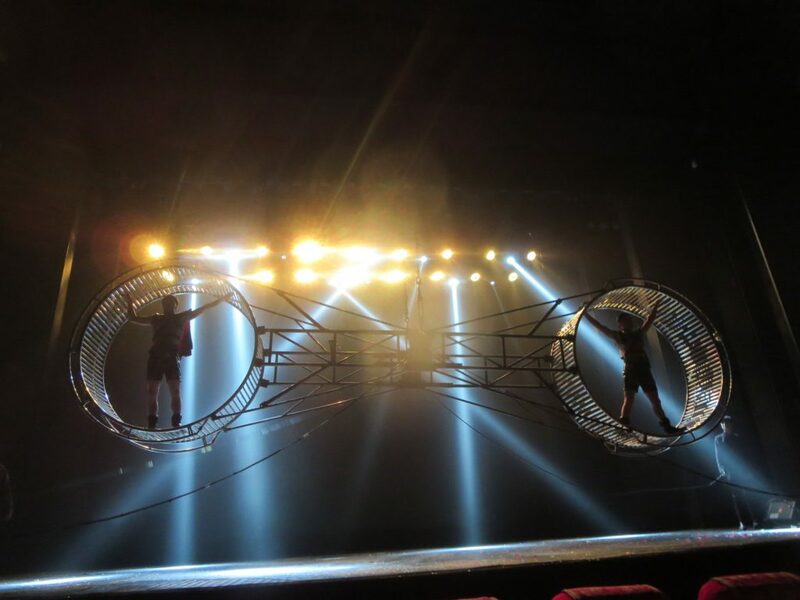 Running through hoops was topped by balancing on a stack of chairs which in turn was followed by 15 girls spinning 8 plates each as they danced around the stage. 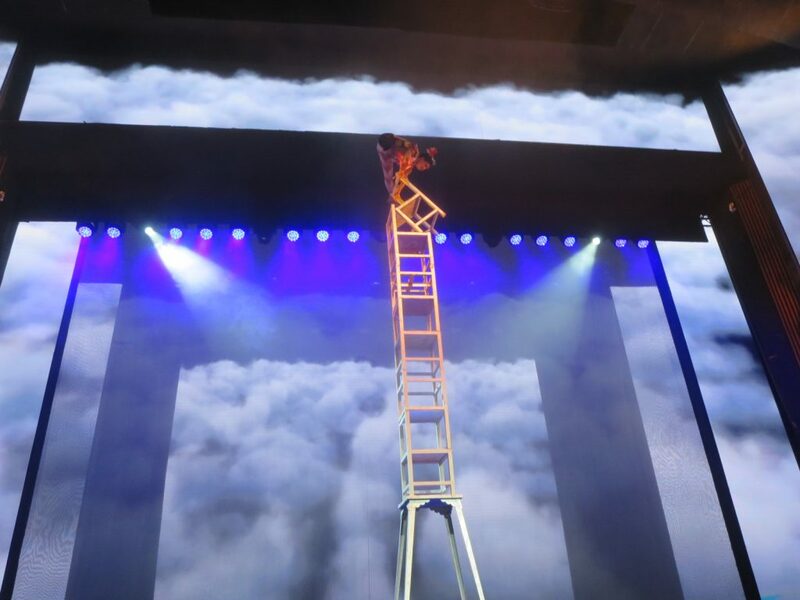 And then there was a man balancing on a tightrope upstaged by girls stacked up on bicycles only to be outdone by men running around on fast moving rotating wheels high up on over the stage. 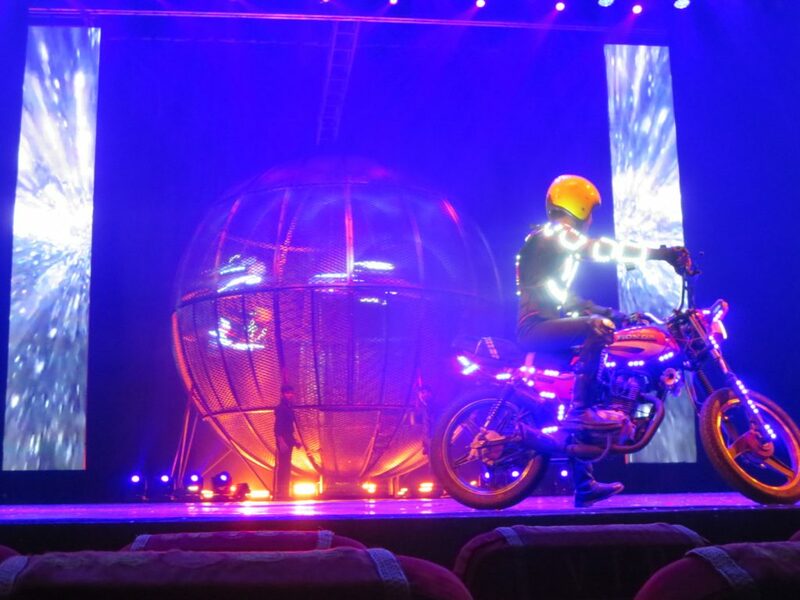 But the grand finale was definitely the motorcycles driving around inside a giant sphere. It started with one motorcycle, then two, then three and by then our jaws were agape. Soon there was a fourth motorcycle, then a five and then, for good measure, three more motorcycles entered the sphere. Yes, the finale was 8 motorcycles racing around inside a sphere somehow (I can’t even fathom how) not running into each other. Like I said – jaw dropping! As I write this the following morning and watch some of the videos I took, I still can’t believe what I saw. 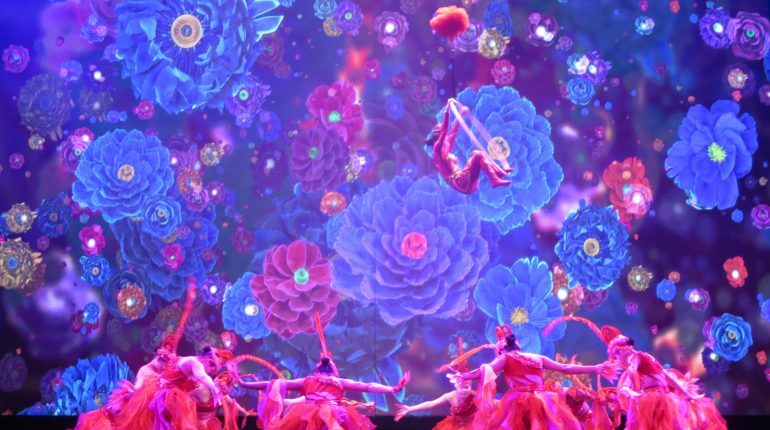 In a word, it was amazing and definitely a great way to end my time in Beijing. 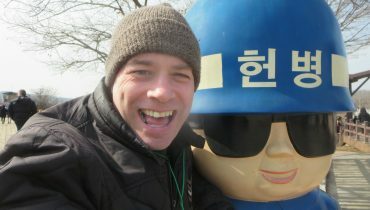 Tomorrow afternoon I’m off to North Korea which, of course, is the crown jewel of this trip. I’ll be gone for about a week which means you won’t hear from me til I get back into China next week as there will be no internet available to me there. Don’t worry though as I’ll be writing my blogs offline while I’m there so you’ll get a nice big blog dump next week.